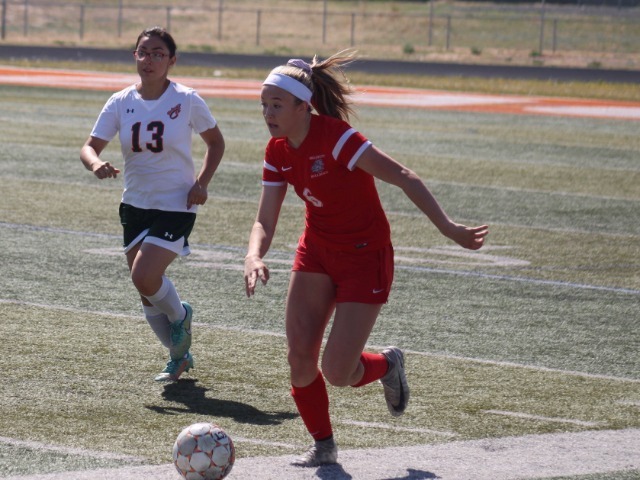 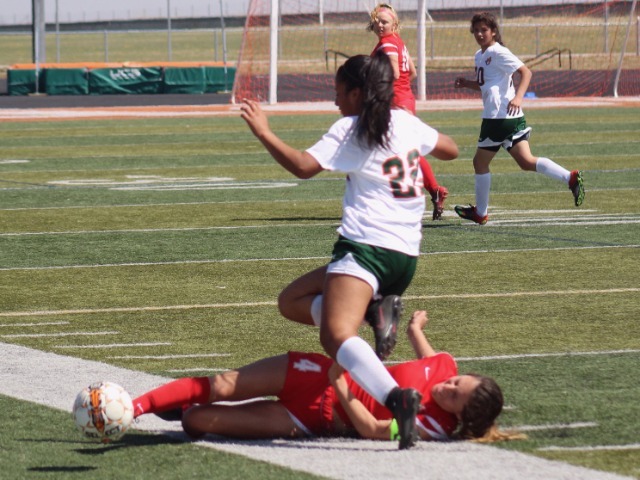 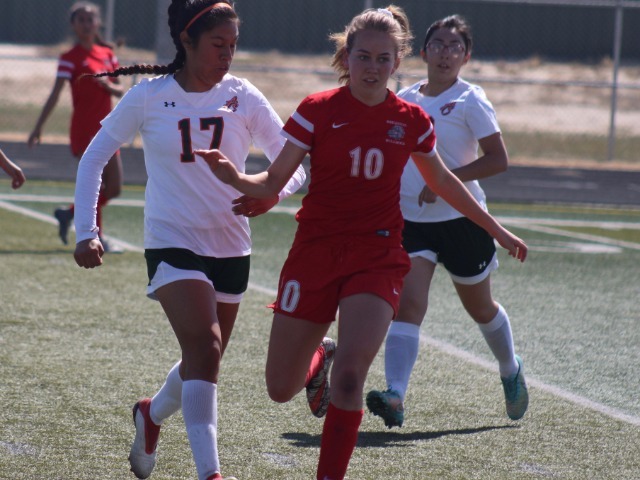 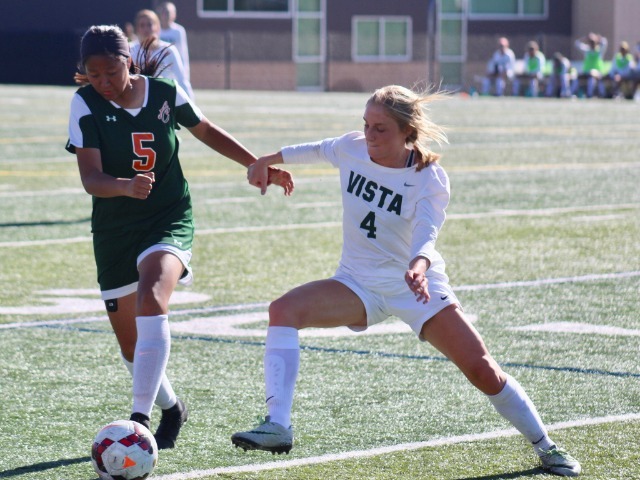 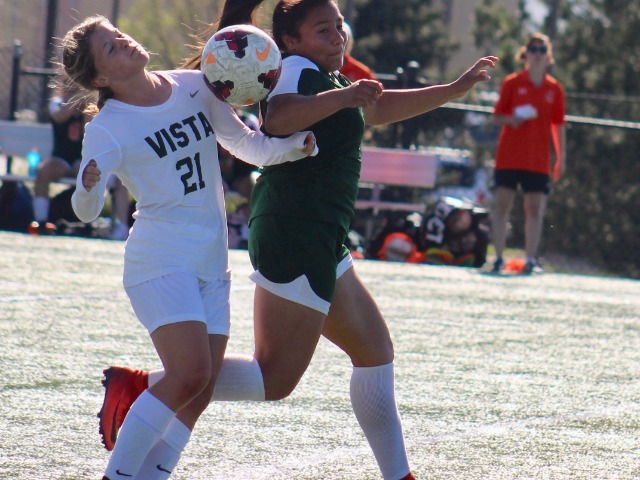 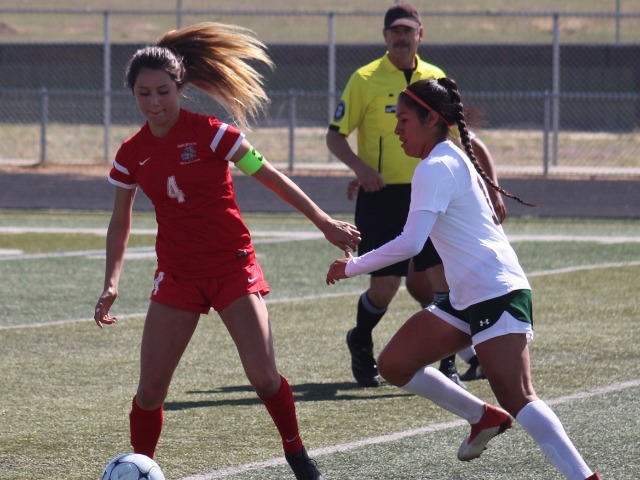 Adams City’s Andrea Jiminez has a bit of a delay in tracking down the loose ball thanks to Mills’ defense during a first-round game in the state playoffs May 8 in Highlands Ranch. 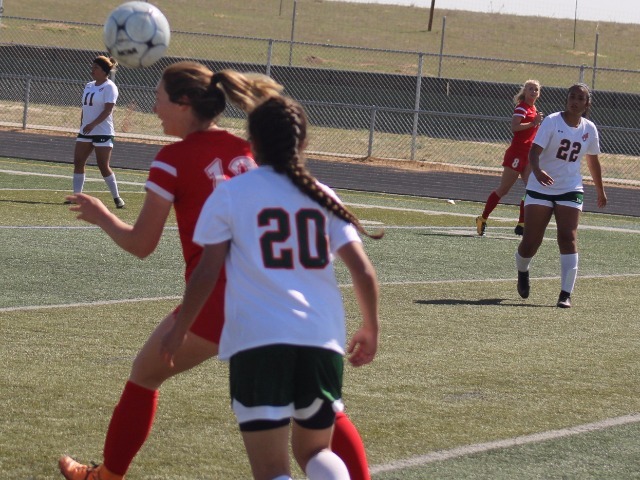 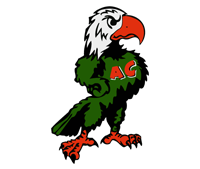 Adams City, which earned its first state 5A soccer berth since 2013, finished 10-4-1, 6-3-1 in the Eastern Metro Athletic Conference. 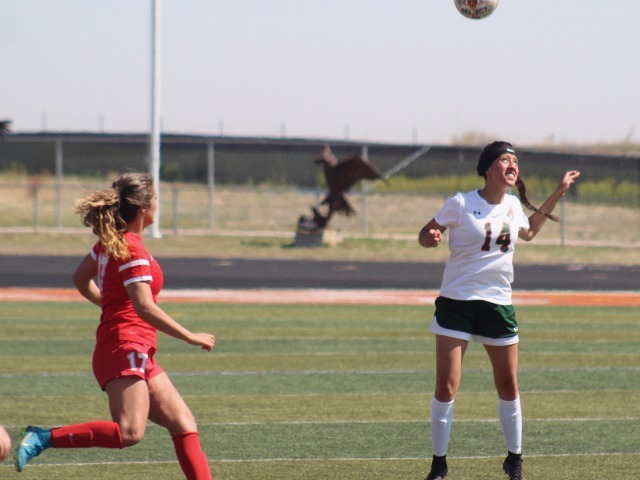 A year ago, Adams City won five games and tied two.